Home improvement scams happen with enough regularity that it pays to be wary. Think about the sad irony of it all: you’re just trying to make life a little better for you and your family, but what happens instead is you lose a lot of money. Home improvement scams can really be heartbreaking and create significant financial burdens. The good news is that, with a little planning, you can hopefully make your home improvement plans relatively scam-proof. Here are the top eight scams to avoid. One rule of thumb is to never do business with a contractor without a paper trail. If your potential contractor balks on this, you may want to consider no longer proceeding. By and large, real professionals in the construction field understand that contracts are essential for good business practices. Contracts protect both the customer and business alike. They’re also important documents that spell out what work the customer can expect and for what price. Generally, homeowners are advised to never make large payments in cash. If something would go wrong such as shoddy work or no work at all, you want proof that you made a payment. Thankfully, most construction companies are trustworthy. It’s the few others you have to watch out for: some scammers will simply take your money and run. They’ll quickly spend your hard-earned cash and you’ll never hear from them again. In the event of a natural disaster, it may be prudent to be extra careful when considering which construction companies you use to help you rebuild. This is when some scammers swoop in, posing as well-meaning contractors. However, because of the scarcity of sufficient skilled labor available to match the overabundance of workers suddenly needed to service disaster areas, it’s easier than ever for scammers to blend in unnoticed. Typically, the best contractors will be fully booked for a long time. Scammers, on the other hand, will offer you quick work for quick pay. The problem is, you’ll likely pay for it when you receive substandard work, if you get any work at all. You may want to be especially careful about signing over your insurance check until you know exactly who you’re dealing with and their reputation. Making a down payment before work begins is common practice. However, if the down payment amount exceeds 1/3 of the total project cost, this could be a major red flag. If you feel the upfront fee is too steep, try negotiating with your contractor. The majority of businesses are willing to negotiate the down payment with you. It’s essential that your contractor has the appropriate permits to do the job. 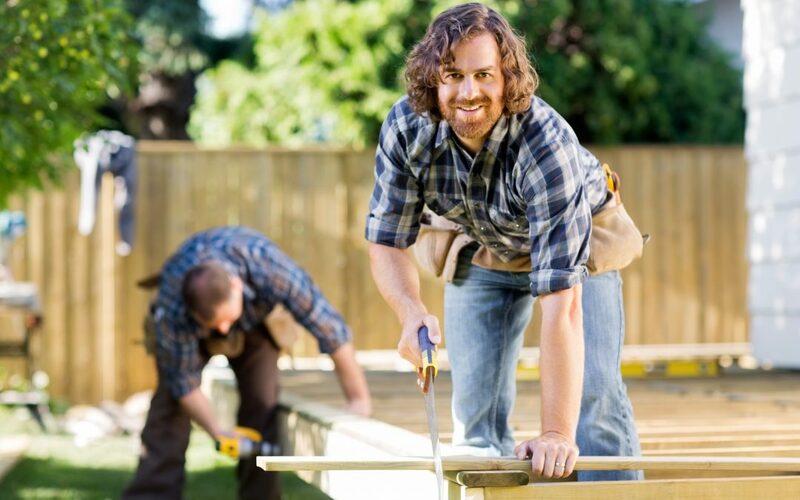 You’ll rest easy knowing that your contractor is properly insured and follows local building laws. If the business you go with is unwilling to be transparent when it comes to permits, you may want to look elsewhere. It could be that your contractor is unlicensed. If that’s the case, you’ll likely risk paying a heavy price later on even if you save a few dollars in the short term. Quality companies are more than happy to provide references to prospective customers who ask for them. They have nothing to hide and stand behind the quality of the work they provide. However, if you ask a contractor for references and they’re unwilling to provide them, proceed with extreme caution. The best contractors almost always have plenty of work to do. They’ll never use high-pressure sales tactics. They’re confident in their abilities. For that reason, they want you to be sure of what you’re signing up for. If a contractor ever pressures you into a quick sale, this may be a major warning sign. Many feel that only scammers and companies with questionable work practices would do this. There are times for legitimate project prices increases. A good contract will make allowances for this, where warranted, so long as both parties agree to the extra work and payment with a new signature. That said, price increases are sometimes a scam tactic. If you feel that price increases for your project are unwarranted, consider getting the opinion of a building inspector or established contractor in your area. Now that we’ve discussed specific ways that you could be scammed, here are a few additional practices that may help you avoid home improvement fraud. Know your local laws: In some regions, contractors are only legally able to take a certain dollar percentage upfront before starting a project. Check your local and state laws to inform yourself on these laws. Also, building codes vary by region. Although you should be able to rely solely on your contractor for this, it never hurts to do your own homework. A homeowner’s nightmare is paying full price for completed work that isn’t up to code. This could lead to potentially unsafe living conditions and make your house difficult to sell without potentially costly alterations. By thoroughly knowing your local laws, you’ll likely be better able to spot a good contractor and, more importantly, a bad one! Never make a deal with a contractor offering “leftover” or discounted building materials: Good contractors never do this. If you proceed, you could wind up getting ripped off. Check out contractors through the BBB: The Better Business Bureau may have high praises for your contractor or quite the opposite. Checking into this is always time well spent. You can do your research at bbb.org. There’s a lot you can do to try and protect yourself from home improvement scams. If you take a little time to prepare now, you may be happy you did later on.